Hum Log is probably one of the most popular television serials ever. Most of us could identify with the characters of the show, so unlike those in the saas-bahu soaps today. It was directed by P Kumar Vasudev and scripted by Manohar Shyam Joshi. Today, 25 years after it was first aired, we celebrate Hum Log all over again. Patcy N managed to trace the lead cast, and ask them to recount those memorable days. 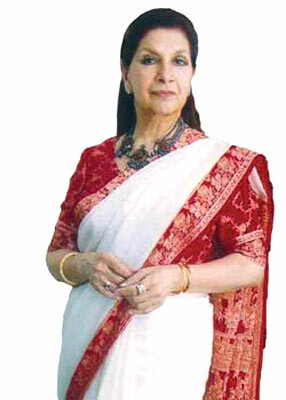 About Badki: I had done a show on Doordarshan even before Hum Log; my mother Saroj Bhargava was an actress too. I knew the director, and the producer (Satish Garg), so I was asked to audition. Initially, I was called for a small role -- to play a cousin to the five kids. But after my audition, I was selected for the role of Badki. I was then handed over the script for 52 episodes. So for 52 episodes, the show went according to the script. After that, the story was tuned according to how the audience wanted the characters to shape up. The Hum Log craze: We got a lot of response from the audience through letters and phone calls. A lot of girls would also come to my house late at night thinking that I was doing social service [like her character in Hum Log]. In fact, I got associated with two women's organisations -- called Sakhi and Saheli -- to help distressed girls. Later Ashok Kumar made it clear on the show that I was just an actor and people who want to solve their problems should go to Sakhi and Saheli and other such organisations. Favourite episode: My favourite episode is the one where I revolt after my marriage suitors keep rejecting me. Majhli then tells me that I will not do anything in life. Later, there's another episode where Majhli is in the jail and I fight her case and make her realise how wrong she was -- how I changed my life despite being so timid. Shooting Hum Log: Everyday, we would travel 45 minutes to go to Gurgoan for the shoot. We -- Rajesh Puri, Divya Seth, Abhinav Chaturvedi, Lovleen Mishra and I -- would travel by car or mini bus. One day, on our way to the sets, we saw a baraat passing us. We got out of the car, and joined in their dancing. But before people realised who we were, we returned to our car, and drove away! Life after Hum Log: I stayed away from television for a long time, I was getting the same tragedy queen kind of roles and was tired of them. I started concentrating on theatre. Later, I did serials like 9 Malabar Hill and Sandhi. Right now, I am doing plays with Naseer's Motley Group. Fave TV show today: I don't watch television. About Lalu: Lalu was unemployed and a good-for-nothing. But he wanted to do a lot. Nadira Babbar and Raj Babbar were instrumental in getting me to Mumbai from Delhi; they had convinced my parents. 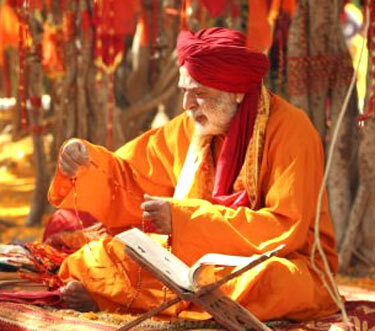 I had worked in Jaane Bhi Do Yaaron and had signed Shekhar Kapur's Joshilay and V Shantaram's last film Jhanjhaar. I was also working as a salesman when I learnt about Hum Log. When I went to Delhi, Manohar Shyam Joshi said he had written 52 episodes and whoever's character became popular, the story would be written keeping that person in mind. So the fight to do better was always among us. The Hum Log craze: I got a lot of love from the audience wherever I went. On two occasions, the army was called in to stop the audience. I remember I was shooting with Smita Patil and she was telling someone that the Hum Log stars were bigger than film stars. It was kind of Smita to say that. But yes, we were that much of a rage. Favourite episode: The day I go for my first interview. I practice a lot at home. Lilette Dubey was one of the interviewers. 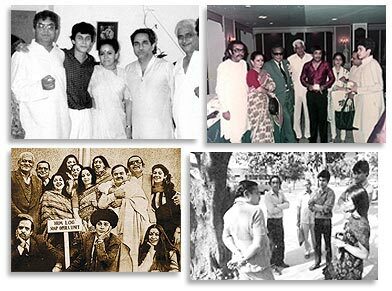 Shooting Hum Log: We were one huge family, and loved each other. Many people thought I was really an IAS officer. People also thought I was married Usha Rani, my onscreen wife. Sadly, because of that, Usha Rani is still single today. My screen marriage was on December 7 and my real marriage was on December 8. Life after Hum Log: I signed 30 films in three months even though my films did not do well apart from Dil and Hogi Pyaar Ki Jeet. I directed serials like Soni Mahiwal and Bhabhi. Now, I am acting and directing Gunwale Dulhaniya Le Jaayenge. My career could have been better but I never liked asking for roles. Fave TV show today: Sarabhai v/s Sarabhai and Tarak Mehta Ka Ooltah Chasma. I see their reruns too. About Nanhe: Nanhe was the fourth child. My friend's father asked me to audition for the role. I did not want to go as Doordarshan had rejected me before. But my father forced me to go and so I landed with the role. The Hum Log craze: We became big stars, even bigger than film actors. We have a fan club on Facebook. Favourite episode: My favourite episode was when Lalu goes to give his IAS exam and all of us had to prepare him for that. Also the last episode, which was a 50 minute special. Shooting Hum Log: Thanks to Hum Log, I was felicitated by the Lions Club of Kandivali in Mumbai. Star and Style magazine also gave me an award. Later, I went to Los Angeles to attend a world conference on entertainment and education. Life after Hum Log: I did Buniyaad and a few more serials. I did some disaster films too, except for Subhash Ghai's Saudagar. Today I have film production company call A V Networks Private Limited. Right now I am working on a film for the Steel Authority of India. Fave TV show today: Office Office, Zabaan Sambhal Ke and Kichadi. About Chutki: I was still in school when I played Chutki. Sushma Seth was my elocution teacher and she told me about Hum Log. I auditioned for it and was selected. I played the progressive girl in the middle class family, who wants to be a doctor. But money was the problem. Later, she gets adopted by someone so her education was taken care of. The Hum Log craze: I got a lot of love from the audience. Favourite episode: My favourite episode was when I was singing a lot of songs, including the national anthem on Independence Day. Someone says something and I back answer. So people scold me, and only my dada takes my side. Shooting Hum Log: We were a big family and were inseparable. I was the youngest, so I would get a lot of love. Everybody helped me with my dialogue too. Life after Hum Log: I finished my graduation, and then joined Barry John's theatre group. I have worked with Mani Ratnam (Yuva) and Anurag Kashyap (Black Friday). 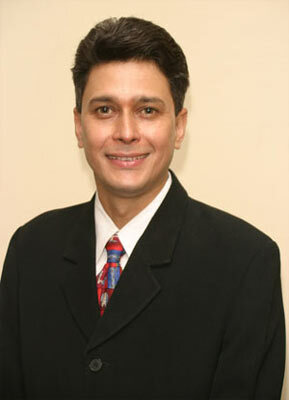 I am working with Naseer's Motley group now. Fave TV show now: Yeh Rishta Kya Kehlata Hai. About Basesar Ram: I played the father, who is very different from the fathers in our society. He drinks all the time, and always falls short of cash. He loves singing. He has grey shades but loves his mother. He loves his wife but never tells her that. 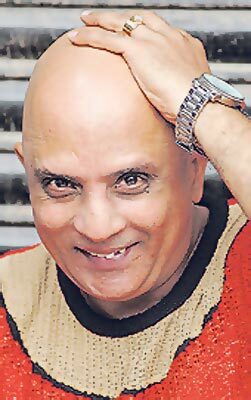 The Hum Log craze: Even today if you ask anyone to remember one character from Hum Log, they will remember Basesar Ram. The serial dealt with problems middleclass people, so everyone could relate to it. Favourite episode: The day Basesar's mother dies. Shooting Hum Log: We were a big family. We lived together from morning to evening. There were no vanity vans that artistes use today. We had make-up rooms but none of us would use them. Life after Hum Log: I did many serials like Buniyaad and Mahanagar, and a few movies. I did theatre too. Hum Log created an identity for me. Fave TV show today: Agle Janam Mohe Bitiya Hi Kijo. About Dadi: I had done five films before and during Hum Log -- Junoon, Prem Rog, Silsila, Kalyug and Swami Dada. I had returned from America after completing four years in Drama. P Kumar wanted me to play Dadi but after seeing me, he said I look very young. I asked him for the script and instantly fell in love with Dadi's character. So I insisted on doing it. He was worried about how he would make me look old. So I told him I would do my own costume and make up. I called for a wig from Mumbai, wore my mother's sari, did the make-up, and went to him on the first day of the shoot. He was very pleased. The Hum Log craze: That was the first TV serial people loved, as it dealt with problems faced by the middleclass families. People would meet me on the road and shower me with love and respect. Favourite episode: It is hard to remember. Shooting Hum Log: I remember every morning all of us would get into a mini bus and leave for Gurgoan. On the way, we would rehearse our dialogues. 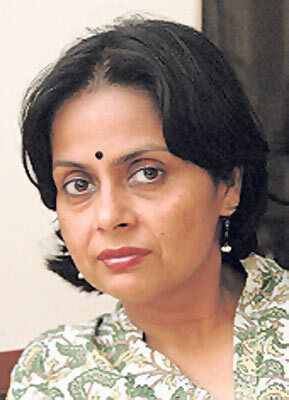 Life after Hum Log: I did lots of serials on Doordarshan. I did movies too. These days, I do acting workshops with kids, and set up mythological plays with them. Fave TV show today: I'm very busy and don't get to watch any serials. But I have seen some episodes of Balika Vadhu and I think it deals with a very good social issue. About Tony: Tony helps Majhli run from home to fulfill her dreams of becoming an actress. Vinod Nagpal and I had done theatre. It was he who had suggested my name to P Kumar Vasudeva. The Hum Log craze: Even though I was in 12-15 episodes only, I became famous. People asked me for autographs and that felt very good. Favourite episode: I can't remember. But I liked the fact that my character always talked big. Shooting Hum Log: I would get Rs 500 per day but my work got over after a few episodes and money stopped coming in. So even after the shoot was over, I would wait at the bus stop where all the actors would gather. Our writer saw me standing there one day, and asked me how I was. I said I was jobless since they killed my character in the serial. So he asked me to laugh loudly in front of the camera. I did. Then, he made my character haunt Manjhli with my laugh and I got paid for it. It was very sweet of him. 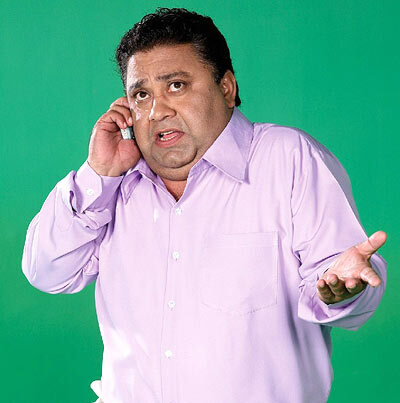 Life after Hum Log: I did theatre, and some serials and films. I got married to Seema Bhargava (Badki) after doing stage shows with her. 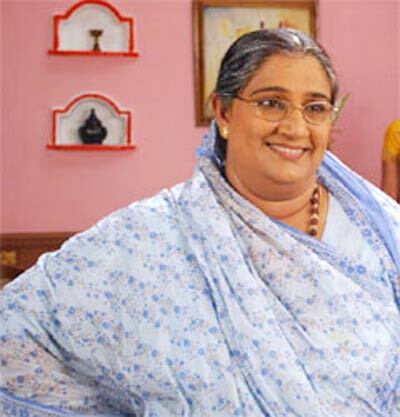 Fave TV show now: Tarak Mehta Ka Ooltah Chasma. Vote: TV's most entertaining kid?